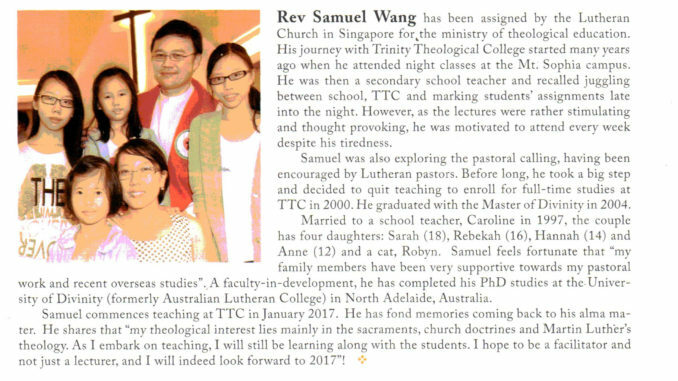 Rev Samuel Wang Chee En was installed as a Lecturer in Trinity Theological College (TTC), a premium seminary in Singapore, on 3rd January 2017. He was assigned by the Lutheran Church in Singapore for the ministry of theological education in TTC. He has pastored Jurong Christian Church and Bedok Lutheran Church before pursuing his doctoral studies at Australian Lutheran College in Adelaide, Australia.